Teams like the Pittsburgh Steelers and Washington Redskins have proven the franchise tag is a flawed system. It either needs to go, or undergo a makeover, says Rob Woodfork in the NFL Week 1 Wrap. WASHINGTON — When it was introduced in 1993, the NFL’s franchise tag wasn’t meant to be a weapon against the best free agent players. But that’s exactly what it’s become. Consider what’s happening in Pittsburgh with the Steelers and star running back Le’Veon Bell. Perhaps the best dual threat in the league, the two-time All-Pro has been franchised for the second straight year, despite tallying 1,946 yards of offense on a whopping 406 touches in 2017. Yet the Black and Gold offered a reported contract that amounts to fool’s gold, and Bell has been a training camp holdout for the second straight year. Perhaps originally designed to reduce player movement to bigger markets, which is often evidenced in the other major pro sports leagues, the NFL revenue sharing and a hard salary cap have placed teams on an even playing field relative to salaries. The tag options allow NFL franchises an extended bargaining period for a player that they feel is key to their success. Usually reserved for players of great skill or of high importance to the team, a franchise tag allows a team’s general manager the privilege of strategically retaining valuable free-agent players while seeking talent through the NFL draft or other acquisitions without exceeding the League’s salary cap. But teams aren’t using it that way — just look at the three-year dance between Washington and Kirk Cousins, which led to the QB eventually leaving town. And so the franchise tag either needs to go, or undergo a makeover. Full abolition of the franchise tag is unlikely. But there at least needs to be a mechanism that prevents teams like the Steelers and Redskins from kicking the proverbial decision can down the street on players like Bell and Cousins, while stars play out their prime years at risk of injury without getting a market value salary. A player in the last year of his deal should be allowed to pursue the lucrative, long-term deal he deserves — whether it’s from the team that drafted him or elsewhere. Knowing how Pittsburgh generally operates, I doubt their plan involves keeping Bell long-term unless they can do so on the cheap. Over the years, the Steelers have been adept at letting go of players a year early, rather than a year too late, so there’s virtually no chance the perennially cap-strapped Steelers have any designs on paying top dollar for a player that turns 27 in February at football’s most fungible position — and 23-year-old James Conner’s 192-yard, 2 TD outing Sunday in Cleveland will only embolden the team’s position. So why should the Steelers be allowed to string Bell along for another workhorse season if he’s not deemed worth the kind of guaranteed money the Rams paid the less-decorated Todd Gurley? Why should any team be allowed to milk the prime years of an MVP-caliber player they don’t want to pay MVP-caliber money long term? The rules of the franchise tag are undeniably bent toward owners, and with the current collective bargaining agreement set to expire in 2021, that reality is part of why the upcoming negotiation will almost certainly be contentious. Players far less talented than Bell want — and deserve — a bigger piece of the pie, especially given the fact that pie only grows larger and larger by the year. If the franchise tag has to remain, I would suggest making it a one-time proposition — that way, players don’t have to bet on themselves more than once and teams have the chance to use the tag the way it was originally intended, or at worst, facilitate a trade if a deal can’t get done. This way teams trying to have it both ways like the Steelers don’t back themselves into a number of bad options and players like Bell don’t have to be pegged as the bad guy for advocating for himself. 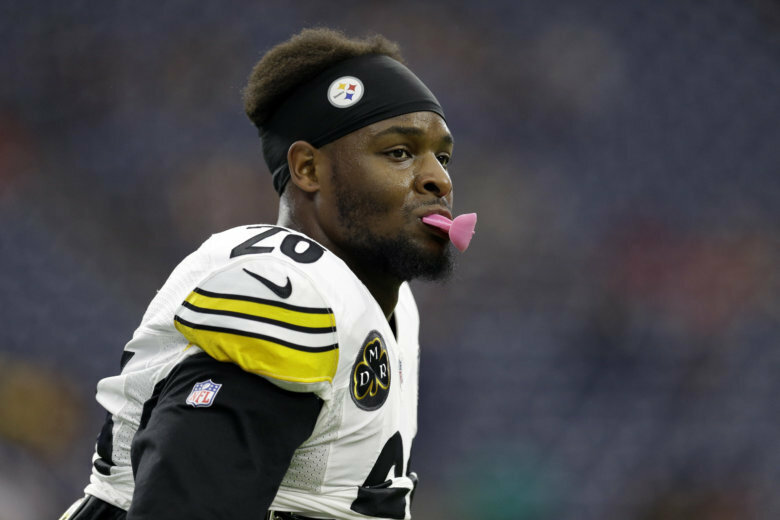 While, yes, the NFL is a business, the family-owned Steelers are seeking to put maximum wear and tear on Bell before discarding him at what’s considered the tail end of a running back’s prime. At a time when player safety is a concern, the players should be prepared to step up and protect their ability to earn their fair share of the wealth. Now tag this link to see the updated NFL Week 1 Recap.